Kempsville Community Recreation Center Grand Opening! HBA is excited to announce the Grand Opening of the new Kempsville Community Recreation Center. The doors open on Thursday, June 29th. It will celebrate the grand opening by offering free admission until July 2nd, where it is open to the public. 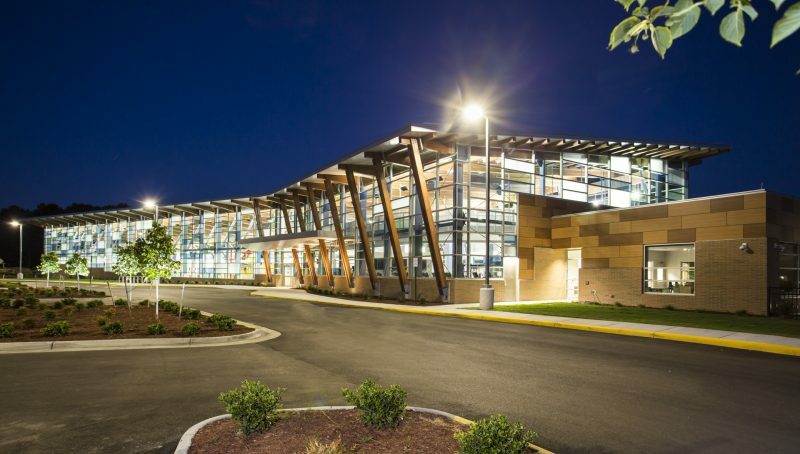 The new Kempsville Community Recreation Center boasts a large Fitness area, a zero entry pool with water features for children, an aqua track, a competition swimming pool, a Group Fitness Room, a dedicated childcare wing, basketball courts, and an indoor track on the Mezzanine floor. The new building is also targeting LEED Silver certification. If you’d like to see what is inside the new recreation center has to offer, please click play below! This entry was posted on Thursday, June 29th, 2017 at 7:27 am and is filed under Design, Status, Sustainability/LEED®. You can follow any responses to this entry through the RSS 2.0 feed. Both comments and pings are currently closed.